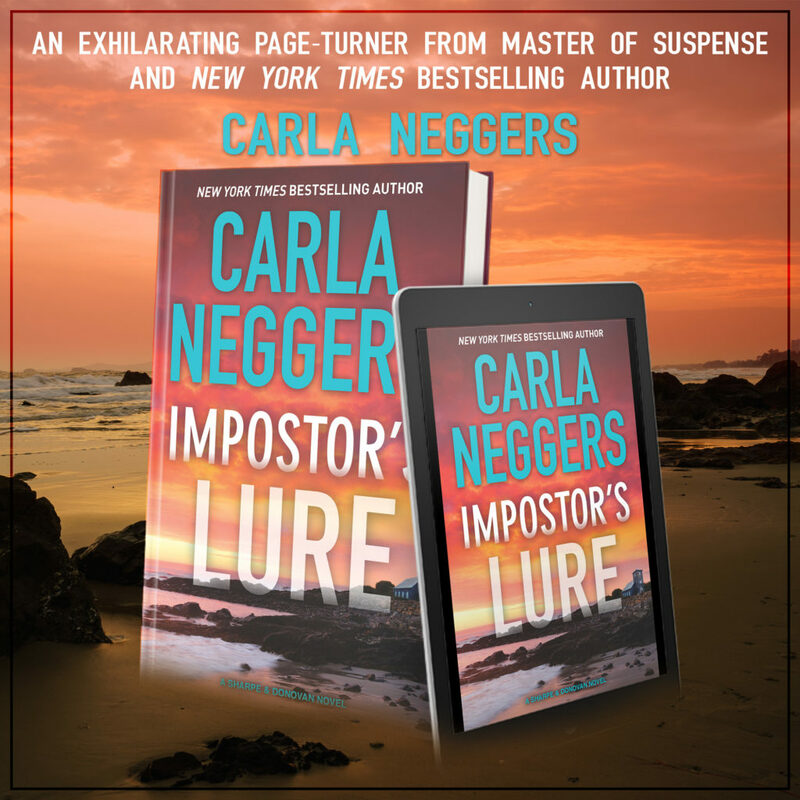 From New York Times bestselling author Carla Neggers comes the next standalone novel in her Sharpe & Donovan Series, IMPOSTOR’S LURE! 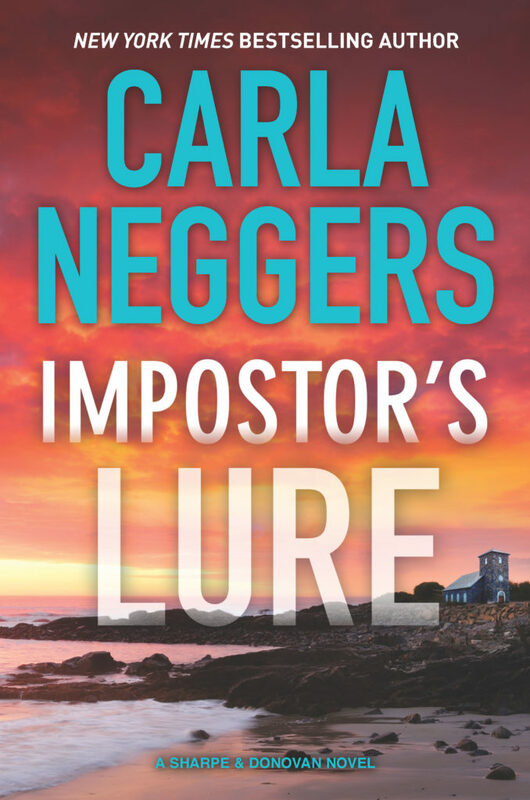 Master of suspense Carla Neggers delivers an exhilarating page-turner where the disappearance of a federal prosecutor launches the latest high-stakes case for FBI agents Emma Sharpe and Colin Donovan. Order your copy today! Newlyweds Emma and Colin are suspicious when prosecutor Tamara McDermott is a no-show at a Boston dinner party. Matt Yankowski, head of HIT, Emma and Colin’s small, elite Boston-based team, is a friend of Tamara’s, and he needs them to find her. In London, a woman who was supposed to meet Emma’s art-detective grandfather to talk about forgeries is discovered near death. Her husband, who stayed behind in Boston, has vanished. The couple’s connection to Tamara adds to the puzzle. As the search for Tamara intensifies, a seemingly unrelated murder leads Emma, Colin and HIT deep into a maze of misdirection created by a clever, lethal criminal who stays one step ahead of them. As Emma draws on her expertise in art crimes and Colin on his experience as a deep-cover agent, the investigation takes a devastating turn that tests the strengths of their families and friendships as well as their FBI colleagues as never before. “As well as art education,” Emma said. “I look forward to it,” Emma said. Tamara headed toward the street, her ankles swollen, no doubt from the heat and humidity, as she crossed the brick-paved wharf, passing more boats and empty slips. She took a water bottle from her tote bag, and when she reached the street, turned left, picking up her pace and quickly disappearing from view. Emma returned to her apartment and pulled on her gloves. She and Colin did certain tasks together and took turns on the rest, but she was quite content not being at Fenway Park on a hot Sunday afternoon. She’d finally convinced him she was sincere when she said cleaning had a meditative effect on her, a product of her years in the convent. To him, cleaning was work. Get in, get it done, then have a beer. She glanced out the window as new onlookers stopped to admire the Julianne. Whatever else tonight’s dinner was about, it wasn’t just to celebrate Adalyn McDermott’s twenty-first birthday. 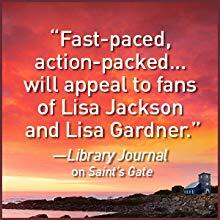 Carla Neggers is the New York Times bestselling author of the Sharpe & Donovan series featuring Boston-based FBI agents Emma Sharpe and Colin Donovan, and the popular Swift River Valley series set in the small, fictional New England town of Knights Bridge. 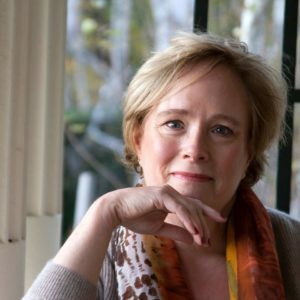 With many bestsellers to her credit, Carla loves to write now as much as she did when she climbed a tree at age eleven with pad and pen. A native New Englander, Carla and her husband divide their time between their hilltop home in Vermont, a sofa bed at their kids’ places in Boston and various inns, hotels and hideaways on their travels, frequently to Ireland. Learn more and sign up for Carla’s newsletter at CarlaNeggers.com. Follow Carla at facebook.com/carlaneggers and twitter.com/carlaneggers.